With continued urban growth, many youth do not have as much exposure to agriculture as in the past. 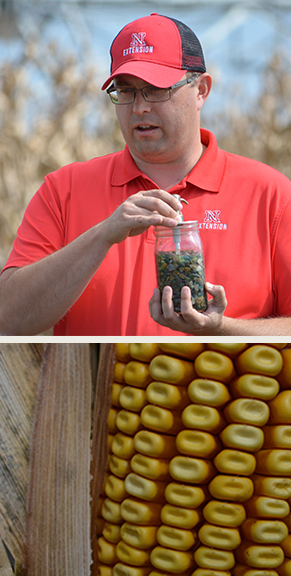 Many communities are losing touch with Nebraska's greatest resource - agriculture. The Agricultural Literacy Festivals provide an opportunity for youth to take a close-up look at agriculture. 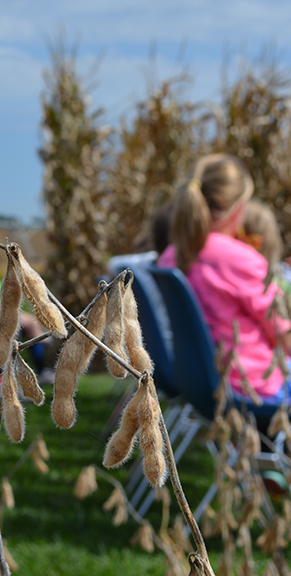 The Ag Literacy Festivals are sponsored by the Agricultural Literacy Coalition of Nebraska. The goal of the Agricultural Literacy Coalition is to help youth (predominantly urban) become aware of agriculture. The group develops resources and opportunities that will increase youth understanding and awareness about agriculture concepts. The first fall festival was held in 1996 at the UNL's Agricultural Research and Development Center (ARDC) near Mead, Nebraska (now known as the Eastern Nebraska Research and Extension Center). The one-day event served as a pilot project for 200 Omaha Public School sixth-graders. It has since grown to four days annually and up to 950 fourth-grade students attend, primarily from Douglas, Sarpy and Saunders Counties. Over 15,800 students attended the fall festival from 1996-2017. In an effort to reach more urban youth, a spring festival was added in 2001 at the Lancaster County Event Center in Lincoln. This festival is primarily for Lancaster County youth. It, too, started as a one-day festival and has grown to two days. Over 7,600 students have attended the spring festival. In 2016, additional festival days were added at Cooper Farms in Omaha, Nebraska. The addition has provided an opportunity for schools to attend that previously were not able to due to travel time constraints. So far 1,300 have attended at this location. At the festivals, students learn about beef production/products and food safety, ruminant nutrition, dairy production/products and nutrition, grain production/products, farming technology, water resources and irrigation, swine production/products, poultry production/products, and horses (Lincoln festival only). Students also learned about sheep at the spring 2016 festival in Lincoln. Goats, horticulture, and ask a farmer sessions have also been included, depending on the time available. Students and teachers consistently give the festivals excellent reviews. Download our flyer to learn about the coalition and the festivals! Watch for 2019 date at the at the Eastern Nebraska Research and Extension Center near Mead, NE and at Cooper Farms - Omaha, NE. Festival Evaluation - Please note that the evaluation form MUST be completed AFTER the festival in order to receive consideration for bus transportation reimbursement. Teachers will be provided with a deadline by the festival coordinator.